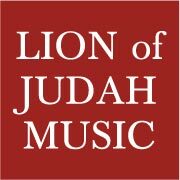 Lion of Judah Music now can make soundtracks for your own songs in any key and style using piano, bass, drums, and strings for $50 a track. Extra Instruments can be added at additional cost. Contact me for pricing or other questions. Existing soundtracks of songs written by Tim Lovell – $7.00. Assistance in Songwriting is also available. © 2019 Lion Of Judah Music All Rights Reserved.